World Famous Comedian, NORML Advisory Board Member, Actor and Author Tommy Chong will appear on NORML's Daily Audio Stash Podcast today. Tommy will discuss his recent trip to the NORML Aspen Legal Seminar, his views on marijuana legalization, visiting Hunter S. Thompson's legendary ranch, breaking a 3-year "pot fast" and his recent news/media appearances as a celebrity commentator. In case you missed it, here's the video of Tommy Chong on the Fox News channel's Neil Cavuto. Movieweb is giving away copies of the new DVD "Uncle P." It arrives on DVD today and stars Master P, Romeo and Cheech Marin. When Romeo's mother is in need of a babysitter, she calls on her estranged brother (Master P) to step in and take care of the children. When he arrives, Romeo and his sisters are shocked to find out that their uncle is the one and only, Percy Miller, a huge hip-hop star and fashion industry mogul! Percy temporarily becomes the guardian of his sister's three children and with Uncle P in the house, family just got a lot more fun! Tommy Chong will be on Fox News' Neil Cavuto this Wednesday at 4PM New York. Tommy will also be on The O'Reilly Factor sometime this week. He filmed it last week. The O'Reilly Factor airs every night at 11PM on Fox News. Tommy Chong was interviewed by CW31 KMAX TV in Sacramento. He was promoting his gig at Punch Line comedy club. It's pretty funny. Thanks to Outlaw Capps for sending us the link. Cheech Marin arrived on the set of his new film, The Perfect Game, this week. The film is based on a true story about a group of boys from Monterrey, Mexico who become the first non-U.S. team to win the Little League World Series. Shooting recently wrapped in Mexico and is now finishing in Valencia, CA. Originally titled The Third Miracle, the film also stars Clifton Collins Jr. and Louis Gossett Jr. Tim Sizemore was originally in the cast, but is presumed to have backed out because of personal issues. Cheech wraps up shooting in mid-July. It has an April 2008 release date. Last night, an enthused crowd of fans packed the Punchline Comedy Club in Sacramento, California waiting for the Pope of Dope and his little Princess Puffette. If Jason Robard Jr and the Zigzag man had a love child, Tommy Chong would be the outcome. Some of the younger crowd only knew him as Leo (his character from That 70s Show). The Chongs performed some old, new and some political comedy, but the highlight of the night was a trip-le play of some dance routines. These Latin hustlers were demonstrating some real talents. I've got news for you magic inhalers out there, this is no joke to the Chongs. They can dance. Although Tommy was doing his ever famous comedy styles in the back of Shelby, the moves were very sexual and sensual. 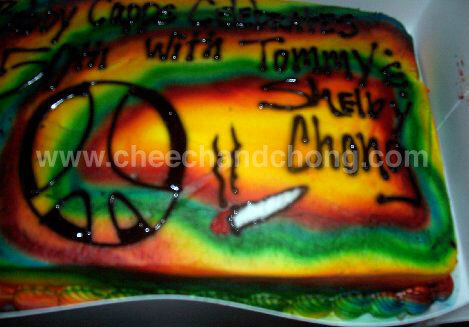 To have Tommy Chong say I sound like Cheech is the best birthday gift ever. Thanks for the good years Tommy; I love you man! 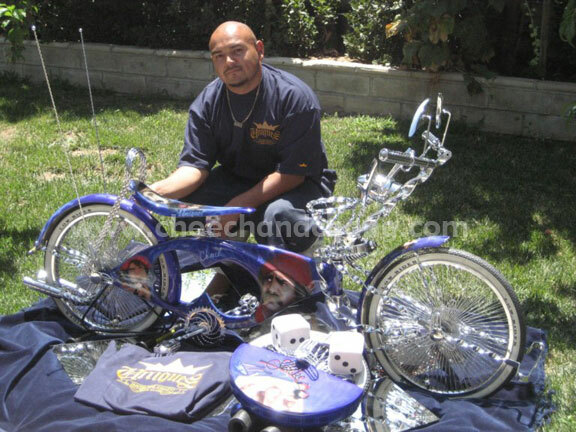 Cheech and Chong superfan, Henry, has been working on this lowrider Cheech and Chong bicycle for two years. You'll notice the fuzzy dice he purchased from us. It took me about 3 years to get this bike to the way it is now. It went through 3 different styles. The bike was a gift from my girlfriend. When we first got it, the bike was all original. After the first year, it turned into an all twist bike. Once it was all twist, the bike still looked undone. I still was not happy with it. I saw a picture on a magazine with a bike with its fenders painted and it looked really nice. So I figured I'd do the same. The only problem I had was that I did not know what theme to go with. So one day during work I was with my friend, Nolan, talking about the bike when he gave me the idea of Cheech & Chong. Im a huge fan of them so it made perfect sense to do it. I looked for a paint and mural shop here in Palmdale that would be able to help me with the fenders and the seat. I met with Cosme from Cosme’s Airbrush and he tells me that he did his El Camino hood with the Cheech & Chong’s Next Movie Cover on it. He showed me his car and I was impressed by the job he did on it. It also helped that he was a big Cheech & Chong fan, too. The body frame and spare tire cover came in a little bit later. My friend Jesus and I did the frame and spare tire. It was pretty hard to get the shape of the frame. Once it was done, then back to Cosme’s I went. He tells me that I need to take it back to get all the scratches from the bondo out. So I did , and after 3 fixes it finally was ok to paint. We picked out our favorite scenes from the movies that we liked. We ended up picking the opening car scene from Up In Smoke. You can see that Chong has his hands together telling Cheech to say "MELLOW". On the other side of the bike, we have Cheech with a worried look in his face after taking too much acid. The 2 murals in the back side are them two smoking the "Quarter Pounder". As far as the spare tire goes, we have the Up In Smoke cover on it with Cheech & Chong getting rolled up in a joint. Cosme did both there faces on the seat and on the fenders, also. The whole bike is covered with smoke that pop out when the bike is moved. We also got the Uniques Bike Club logo on it too.The top and bottom of the bike are also covered in film that represents the movies they made. I had the honor of meeting Chong and his wife Shelby in person at the Improv in Ontario CA. He signed 3 of my shirts and he was kind enough to take pictures with me. I have Tommy Chong’s autograph on my bike too that was copied from my shirt that he signed. I got Cheech’s autograph by taking pictures that he’s signed online. The name of the bike is "Up In Smoke" but many just call it "The Cheech & Chong Bike". It really does not matter to me what they call it, as long as it brings them memories of there favorite Cheech & Chong moments. Special thanks to my Uniques Antelope Valley Family , Javier , Aaron , Alex. 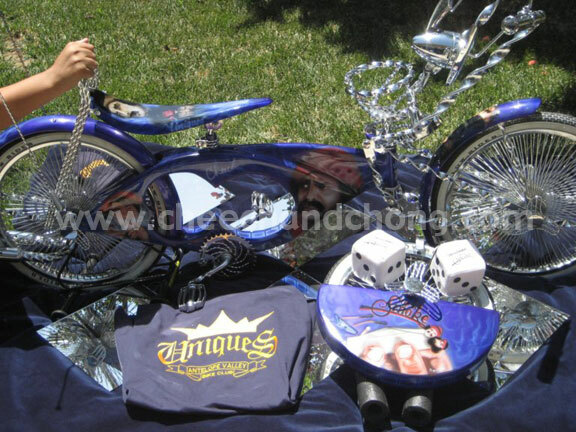 To Cosme from Cosme’s Airbrush (u really got down on the bike man, thanks) to HHH Bike Club for helping us get things going in the AV.. And last I would like to thank Mr.Weedman for giving me the opportunity to get to show the bike on his website. HOLLYWOOD, CA -- (MARKET WIRE) -- 06/19/07 -- Leading Hollywood producer and distributor Cinamour Entertainment has signed an international distribution deal with Jury Duty LLC principals Vincent and Linda Dymon, to bring "JURY DUTY," a half-hour, 130-episode celebrity reality series, to international markets. The new series premieres September 17th in the U.S. syndication market. "We are eager to take this celebrity-packed reality series to our international buyers," said Glen Hartford, CEO of Cinamour. "This show will reveal celebrities' true personalities when they deliberate over real-life court cases, trying to reach a verdict with fellow celebrities of vast generations, backgrounds and philosophies. "'JURY DUTY' is the first small claims court show to have the opportunity to be formatted to the International market place. We are very excited that Cinamour will be utilizing there vast contacts to take 'JURY DUTY' to the next level." "JURY DUTY" combines real-life small claims court cases with a three-person jury of celebrities who cross-examine the litigants, before locking themselves away in a deliberation room, to reach a verdict. Celebrity attorney, Bruce Cutler, famous for representing John Gotti and currently Phil Spector, serves as the judge in this series. Celebrities that have been summoned to "JURY DUTY" include: Tommy Chong, Bridgette Nielsen, Vern Troyer, Phyllis Diller, and James Kyson Lee (NBC's "Heroes"), Debbie Reynolds, Paula Poundstone, Bernie Koppel, Alexandra Paul, Arianna Huffington, Sheryl Lee Ralph, Ed Begley Jr., Bruce Vilanch, and many more hot celebrities! "The celebrity jury element featured in 'JURY DUTY' are powerful components, to a strong reality concept that will transcend the genre to international markets," asserts Cinamour's President of Distribution, Cord Douglas. "Audiences worldwide have never before seen their favorite celebrities -- or their least favorite celebrities; in this kinds of setting. We are positive, that the original version, as well as the program format, have enormous international potential." Cinamour Entertainment has established itself as a leading television and film production and distribution company, producing feature films such as the fantasy adventure film "FORBIDDEN WARRIOR," and the boxing drama "FROM MEXICO WITH LOVE." Cinamour distributes features as well as television series; "U.S. BOUNTY HUNTERS," "HAUNTED HOTELS," "CHEATERS," and the wildlife series "SAVING THE ENDANGERED SPECIES." Cheech Marin's girlfriend, pianist Natasha Rubin, has launched her website. There is some great information on there about her career, upcoming performances and photos of her and Cheech. Tommy Chong will be taping The O'Reilly Factor this Wednesday. It should air that evening on the Fox News Channel at 11PM New York. Sometime during the week of June 25th, Tommy will be on the Neil Cavuto show. The Neil Cavuto show airs daily at 4PM New York on the Fox News Channel. We'll let you know when the date is confirmed. Guitar Center Crowns the Next "King of The Blues"
WESTLAKE VILLAGE, CA--(MARKET WIRE)--Jun 17, 2007 -- Guitar Center, the nation's leading music instrument retailer, today announced the winner of "King of The Blues" '07, the world's largest guitar competition. Last night's grand finale encompassed artists who personify the blues beginning with a rare special performance by Kenny Wayne Shepherd and Hubert Sumlin, and closed with an explosive set by The Black Crowes. Geared towards promoting players with deep passion and commitment to the craft, "King of The Blues" is an annual celebration of a genre that is the root of today's music. In an epic show on Saturday, June 16th at the historic Music Box @ Fonda Theater in Hollywood, CA, Aaron Loesch from Houston, Texas, performed alongside Grammy® Award-winning producer Pete Anderson, and battled it out with three other contestants from around the country in front of a sold out crowd of more than 1,400. The evening's judges, Kenny Wayne Shepherd, Hubert Sumlin, Pete Anderson, Brad Tolinsky, Randy Chortoff and last year's winner, Matt O'Ree, based their decision on overall performance, originality, technique, style and stage presence. With those variables in mind, Aaron Loesch was awarded the title of Guitar Center's "The King of The Blues." In addition, he will receive a prize package valued at more than $50,000 and the opportunity to perform on the same stage as BB King, Willie Nelson and John Mayer at Eric Clapton's Crossroads Guitar Festival this summer in Chicago, IL. For the Grand Final Competition, the talent was narrowed down from more than 4,000 participants to the four finalists who competed at more than 200 Guitar Center locations across the country. Hosted by Cheech Marin, the finals showcased the nation's top undiscovered talent, and featured performances by The Black Crowes, a special collaborative set by Kenny Wayne Shepherd and blues legend Hubert Sumlin, as well as an appearance by Billy Bob Thornton. "The amount of talent that came out during this year's competition was nothing short of amazing," said Dustin Hinz, Manager of Event Marketing and Promotions. "Guitar Center is proud to work with such a versatile emerging artist. Through 'King of The Blues,' we hope Guitar Center will be able to act as the catalyst for Aaron Loesch as he begins his career as a professional musician." "I'm very grateful just to be at this level in the competition and to get to perform with amazing artists like The Black Crowes, Kenny Wayne Shepherd and Hubert Sumlin," said Aaron Loesch, this year's winner. "Guitar Center has really blown the doors of opportunity open for me. I'm incredibly excited to see what the future has in store. I feel this contest is a historical landmark and I thank Guitar Center for keeping the blues alive." "Know Your Roots. Be Original." 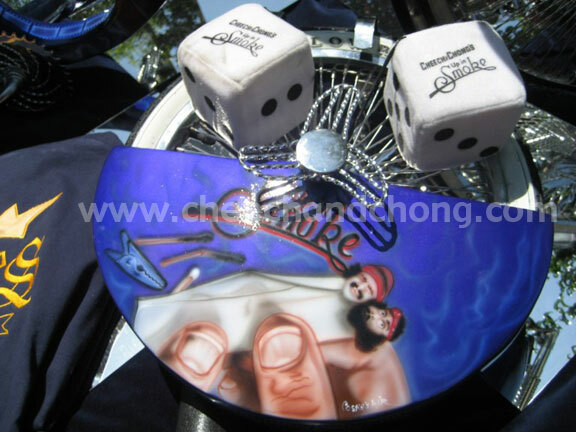 After a two month hiatus, Tommy Chong has posted a new entry on The Blog of Chong. He discusses Paris, the Bush administration and breaking his pot fast. Cheech and/or Tommy may be interviewed via phone by the Fox News channel today at 4PM New York. They will be asked for their views on the immigration policy. Update: Due to prior commitments, this has been postponed. We've updated the list of Tommy and Shelby Chong tour dates...see "current events" on the right. Video has been posted of Tommy Chong's appearance last night on Comedy Central's The Colbert Report. Tommy Chong spoke at NORML's legal seminar this past weekend. The luncheon took place at Hunter Thompson's Owl Farm. This interview was conducted by TalkLeft. Drew Barrymore will lend her voice to one of the Chihuahuas in Disney's upcoming film "South of the Border." 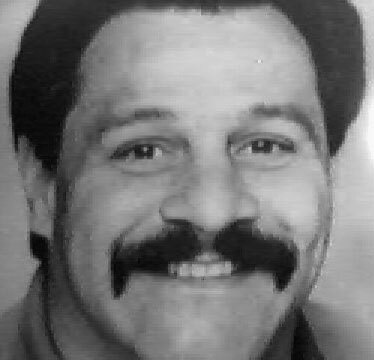 As we reported last month, Cheech was one of the first people cast for this film. Others now include Andy Garcia, Salma Hayek, George Lopez, Paul Rodriguez, Placido Domingo, Edward James Olmos, and Eddie "Piolin" Sotelo. 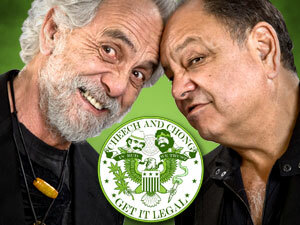 Tommy Chong will be on Comedy Central's The Colbert Report tomorrow (Tuesday). He'll be promoting his book and talking about Paris Hilton. I'm sure he'll have a lot to say about the MSNBC reporter. It airs 11:30p / 10:30c. **Update: Tommy's appearance on the Colbert Report was hysterical. First, they played the clip of Tommy being interviewed on MSNBC last Friday. Then, Colbert interviewed Tommy via satellite from Los Angeles. Tommy said rather than prison time, the judge should have put Paris over his knee, lifted her skirt and given her such a licking. Tommy was promoting his book "The I Chong: Meditations From The Joint." MSNBC contacted Cheech and Chong Dot Com yesterday wanting to interview Tommy Chong about Paris Hilton's legal saga. Tommy appeared on MSNBC this afternoon while Paris was being driven back to court. MSNBC must have expected a calm, cookie cutter interview with Tommy, but that's not what they got. Tommy got straight to the point. He said the media is controlled by the republicans and this is part of the republican agenda to distract people from issues such as Gonzales firing the attorneys. The anchor kept trying to cut him off and then had the audacity to accuse Tommy of smoking pot today. She said she asked if he smoked today because his republican theory was so "out there". Very unprofessional on her part. It will be interesting to see what Tommy says at tomorrow's NORML benefit. Watch the interview below. It's great. A couple weeks ago, Tommy gave Paris some words of wisdom outside a comedy club. We've reduced prices on the Cheech and Chong keychains. They're really awesome. The Associated Press/Yahoo posted photos of Cheech Marin and his girlfriend, musician Natasha Rubin, as well as Tommy Chong and his wife Shelby arriving at the 2007 Alma Awards last night. The show airs Tuesday on ABC-TV. The trailer for the film "The Union" has been posted. It features an interview with Tommy Chong. Here's the synopsis: Follow filmmaker Adam Scorgie as he dives head first into Canada's most socially acceptable illegal activity. Along the way, Adam demsytifies the underground market and brings to light how such a large industry can function while remaining illegal. By interviewing experts from around the globe, including growers, clippers, police officers, criminalogists, economists, psychologists, medical doctors, politicians and pop culture icons, Scorgie explores the cause and effect nature of the business behind getting high. "Lalo Guerrero: The Original Chicano", a film about the late Chicano entertainer Lalo Guerrero is nominated for Outstanding Made-for-TV Documentary at this year's Alma Awards. The film contains commentary from Cheech Marin and others. The 2007 Alma Awards airs Tuesday, June 5th at 9 p.m. on ABC-TV. Cheech will be presenting an award to comedian/actor/celeb golfer George Lopez.